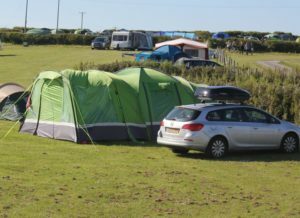 Electric and non-electric pitches available, all of a generous size for families, spread over several fields. Generously-sized pitches spread over three fields, mainly grass plus some hard-standing. 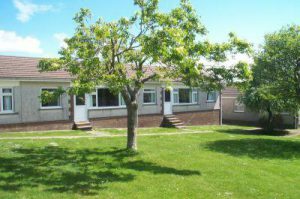 Double-glazed brick-built bungalows, sleeping 4-5 people each, about 5-10 minutes walk from the main facilities. Glamping at Bank Farm - coming Whitsun 2017! Bank Farm Leisure is a family run and the Richards family are the original farmers of this lovely 75-acre site. The site boasts stunning views of Horton and Port Eynon Bay. A short drive away you will find Rhossili Bay, regularly voted one of Britain’s Best Beaches by Trip Advisor. 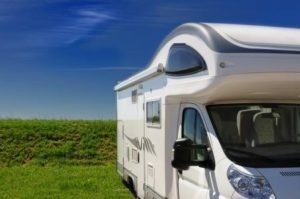 We offer touring caravan and motor home pitches, camping, glamping pods and self-catering bungalows. An extensive drinks menu ranging from breakfast tea up to luxury speciality coffees. The perfect place to wind down after a fun filled day spent on the beach or at the swimming pool. A good range of fresh and frozen food, plus all your laundry needs. Watch this space for upcoming entertainment at Bank Farm Leisure. Two male and two female blocks, central to the camping fields. We stayed here 25 years ago and started our love of caravanning. This site is absolutely beautiful. There are not too many rules it is friendly and has something for everyone. The toilet block has been updated since our last visit it is modern and very clean. Dogs are allowed on the beach out of season which was great for us. We will go again soon if we can get in because it is very popular and soon fills up. 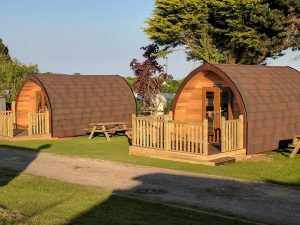 Beautiful location, plenty space for children to run and explore safely,campsite is kept to high standard for all users.added bonus is the swimming pool which my family love. Then your right next to the club house for some good pub food, Sunday roast (delicious)and very reasonably priced.The bungalows are first class, with all MOD cons that you need for a functional stay for family of 4 or 5 .Bank farm comes highly recommend by this endorsement. Great site Very comfortable. Clubhouse was lovely and food is really nice! Staff are lovely and nice play area and park for the kids. Very close to the beach also.Site was clean and tidy ,toilets were clean and sink area the same. There is a pool which was a big hit with kids,did get busy but hey its summer hols.Shop on site which was the same prices as your local corner shop. So 5 stars for me! Wonderful site, beautiful views. Site was well kept and clean as were the toilets and showers. staff were very hard working and polite. Food was great and well priced. Kids loved the pool which does get extremely busy on sunny or rainy days, due to the roof. Wonderful site can’t get any better. We stayed in one of the holiday bungalows, which is accessed along a private road behind the main site. The main bar/restaurant on the site has lots of outside seating with sea views, so was very pleasant on a sunny day. The restaurant staff were very helpful in accommodating a gluten free diet and seemed quite knowledgeable. The bungalow itself was very clean and tidy and better than I expected. We have been going to Bank farm for a number of years now, and it’s a great place for the kids to make memories. We love going there with our friends and the facilities are great. The staff are really helpful.